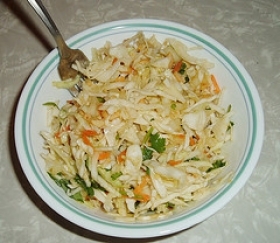 Have you made Bayou Hot Slaw? 1. 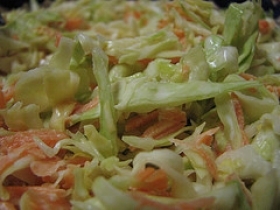 Place first 5 ingredients in a large salad bowl and mix well. 2. In a saucepan, heat oil and bay leaf and stir in the flour, but don't let it brown. 3. Add sugar and water, stirring until thickened. 4. 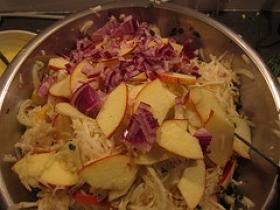 Pour in the vinegar and spices and stir until you have a thick sauce. 5. 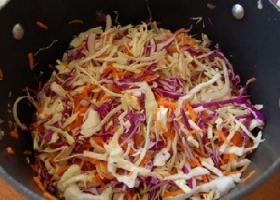 Cool to lukewarm and pour over the slaw. 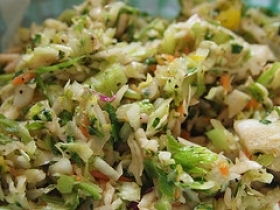 Toss and mix well. 6. Chill and serve cold. 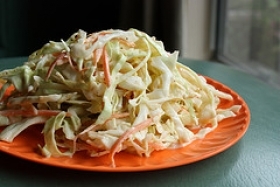 If you want a hotter slaw, add more cayenne. 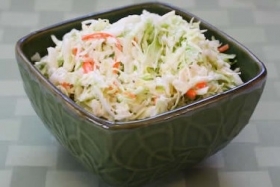 This recipe contains potential food allergens and will effect people with Wheat, Gluten, Sulfites, Malt, Cabbage, Spring Onion, Garlic, Natural Sweeteners, Mustard, Hot Pepper, Celery, Vinegar, Onion allergies.